Not many places in the world are as remote and pristine as East Greenland, a place where few people live and even fewer visit. We look at eight reasons why you should explore the nature, wildlife and culture of this region. 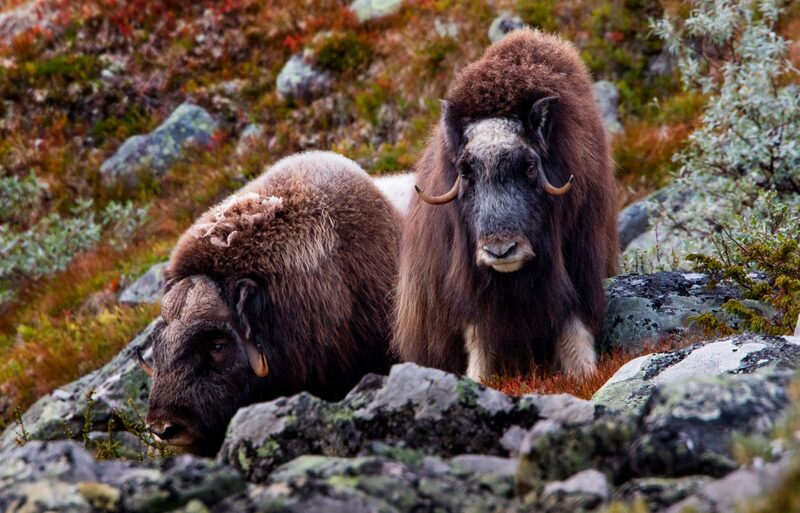 Natural World Safaris are the leaders in Arctic travel and the polar wildlife specialists. Although most people will tell you that you are unlikely to see polar bears in East Greenland, our experience says otherwise. 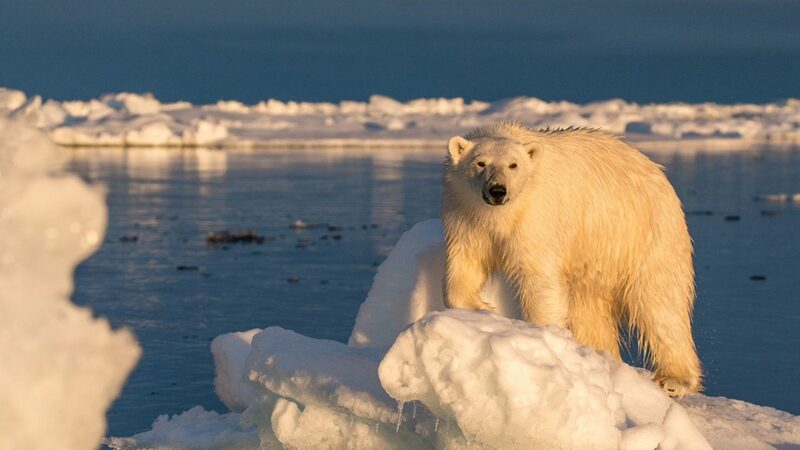 The expedition team travelling with Natural World Safaris on their East Greenland Wilderness Expedition have spent hundreds of hours researching and exploring this remote region, and have mapped out areas where they believe polar bears may den. 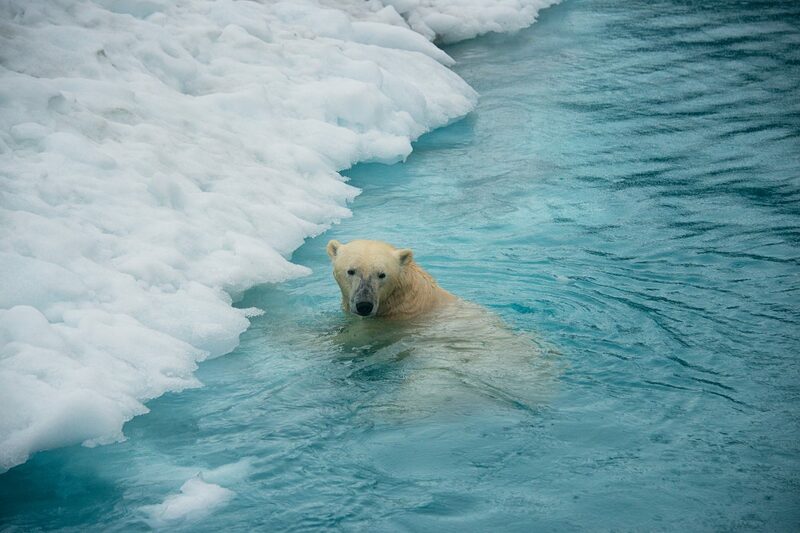 Due to good hunting grounds created by favourable currents, it is believed they remain here in East Greenland for the summer, while polar bears on the west coast of Greenland head north to follow the shrinking pack ice. These locations are a closely guarded secret, but you can visit them yourself on board Natural World Safaris expedition ship when they seek out healthy summer bears this August. 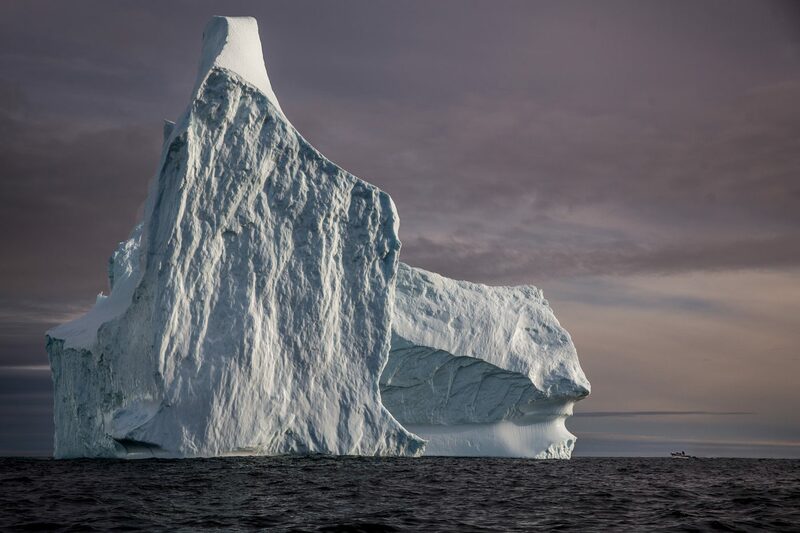 Even when visiting during the summer, East Greenland is still a land characterised by spectacular natural ice sculptures, which make for awe-inspiring sights and excellent photographic subjects. Rødeø (Red Island) within Rødefjord (Red Fjord) is a prime location for spotting towering icebergs, which become grounded on the shallow sea floor along the northern end of the island. Also worth visiting is the Nordvestfjord (Northwest Fjord), a major fjord system some 140km long which lies at the terminus of the Daugaard-Jensen Gletscher (Glacier), which produces fleets of monolithic icebergs that drift out to sea. Intrepid explorers can venture further in to the uncharted Flyverfjord, known by Greenland expeditioners as an “iceberg graveyard”. Expedition guide Hadleigh Measham shares some of his favourite and often unchartered locations in East Greenland. Experience the majesty and beauty of Greenland’s east coast on a small ship expedition alongside professional photographer and guide Andrew James. Discover what advantages small expedition ships have to offer when exploring Greenland’s fjords and coastlines. Step ashore, put on your hiking boots and find out what’s waiting for you in the country’s picturesque landscapes. Travellers to East Greenland will be walking (well, sailing) in the footsteps of intrepid polar explorers who made it their mission to map this region in the 19th and early 20th centuries. At the time, East Greenland was one of the last blank spots on the map, and there are still branches and inlets within this labyrinthine wilderness that are still left uncharted, like the aforementioned Flyverfjord. The legacy of this age of exploration still lives on, in places such as Scoresby Sund – named after the man who mapped it in 1822, Englishman William Scoresby – and Kong Oscar Fjord, named in honour of the ruling Swedish king at the time of its discovery in 1899 by his countryman A.G. Nathorst. There is also plenty of human history of pre-colonial occupation; the archaeological record here is long and involves a remarkable diversity of groups that discovered and explored the region.. The confluence of Øfjord (Island Fjord) and Nordvestfjord in particular has been inhabited by humans for centuries, and remains of Paleo-Inuit dwellings are easy to spot. Find out more about the allure of Arctic anthropology in East Greenland and what you might find during your visit. 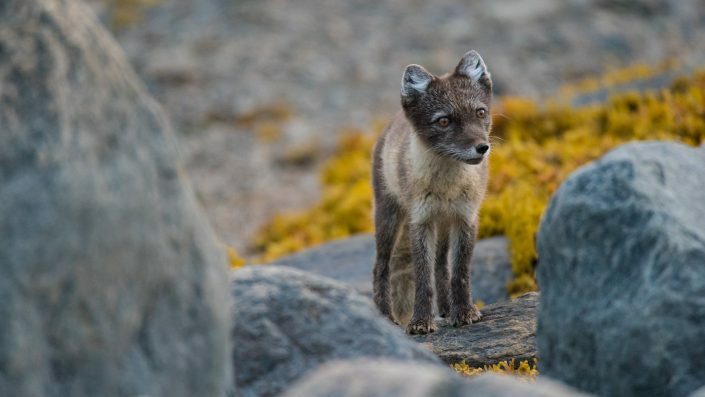 Aside from polar bears there are plenty of other species of wildlife to discover in East Greenland. The distinctive muskox is a common sight grazing on the Arctic tundra as are the snow-white Arctic hares which can also be seen bounding through the meadows of Greenland’s ice-free coastal areas. Flocks of seabirds fill the skies and roost along cliffs, while whales, although not common visitors to fjord systems here, can still be seen hunting and surfacing for air along the coasts. Watch out for humpback and bowhead whales, and perhaps even the snow-white beluga or tusked narwhal, both rare but enchanting sights. Book your East Coast Greenland Wilderness Expedition with Natural World Safaris. With less ice-free land and more inhospitable terrain, East Greenland is much more sparsely populated than other areas of the country, but some indigenous Inuit peoples still make their home here, living in smatterings of picturesque, multi-hued buildings that make up one of the quintessential images of Greenland. There are some places here where dogs outnumber people, dog sledding being the most efficient way to travel when snows carpet the ground. Ittoqqortoormiit is the most isolated town in Greenland where hunting and sea fishing are the only way the community can survive. The small town of Tasiilaq is home to just 2,000 people who possibly live in one of the most beautiful places in the world on the edge of Kong Oscars harbour, surrounded by mountains and fjords, its hinterland offers the opportunity to hike through flower fields. 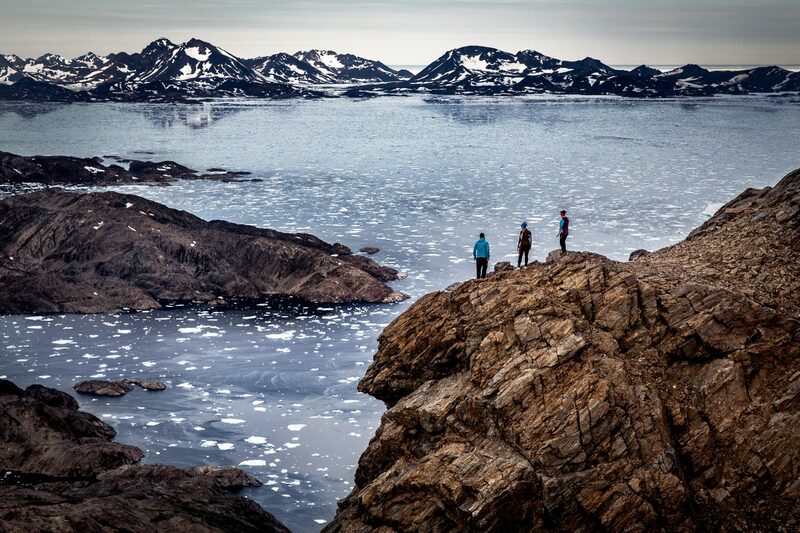 East Greenland has no shortage of natural wonders – even the rocks themselves are to be marvelled at. Keen geologists and photographers are advised to make a trip to the Eleonore Bay Group, a 14km stretch of remarkable rock formations which show the march of millions of years in their colourful and undulating sedimentary strata. These layers of limestone, dolomite and other rock types are often found lying at angles that boggle the mind, making for excellent photographs. Segelsällskapet Fjord is a great location for viewing these formations. Hundreds of miles from the nearest city, East Greenland is ideal for travellers wanting to experience one of the most instantly recognisable natural phenomenon in the world: the Northern Lights. These shimmering bands of light that span the spectrum from lime green to crimson are an unforgettable sight for all those lucky enough to see them, and they’ve even played a part in the traditional beliefs of the Inuit for generations. 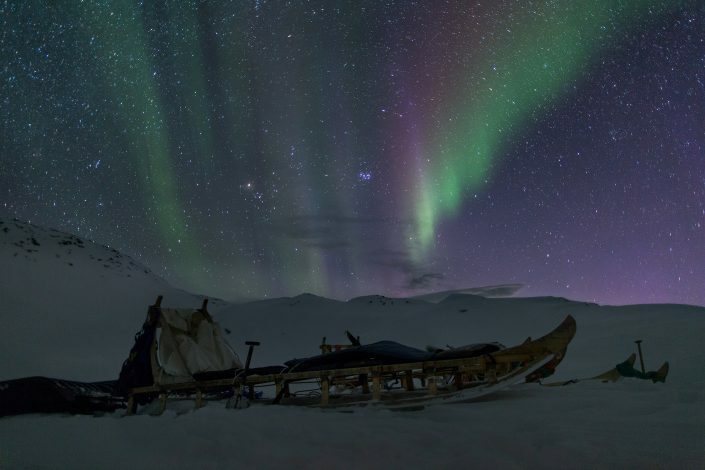 Greenland’s high latitude means it endures months of midnight sun which eliminates any chance of seeing the Northern Lights, as well as months of near-darkness which hamper wildlife sightings. To experience the best of both worlds, travellers must venture here in the time between these two extremes, which begins in August. 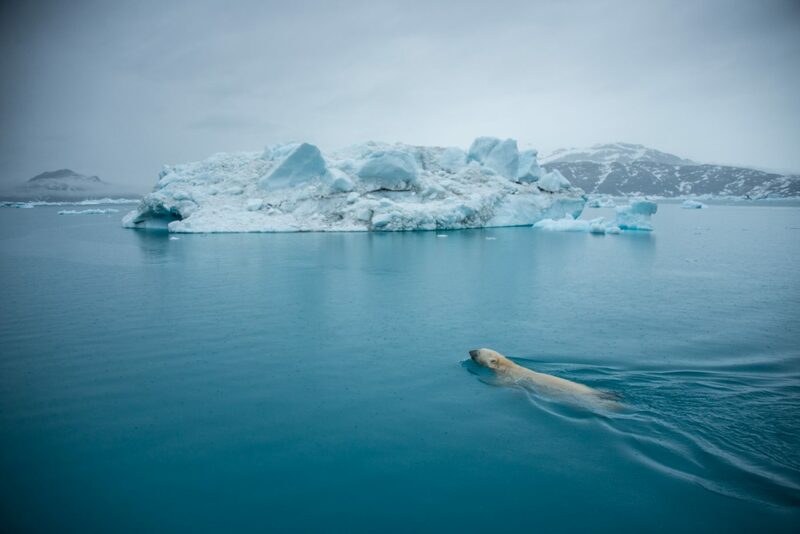 East Greenland offers some of the best locations for zodiac cruising in the world. Seldom visited by tourists, the pristine waterways here are ideal for exploring in the small inflatable boats to get up close to the icebergs and rock formations which make this part of the world so special. Ice cover changes all the time, meaning no two trips are the same – some fjords and inlets may be choked with floes, and others easily navigable. The area around Rødeø is particularly excellent for zodiac cruising, with its islands, icebergs and distinctive red cliffs.